Collection 2000 Cosmetics is a small woman-owned manufacturer of personal care products in Doral, Florida, with customers in 29 countries. 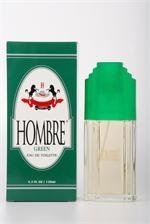 Its HOMBRE brand consists of male products such as deodorants, talcum powder, body lotions and fragrances. Interestingly, the seven person company is entirely comprised of women. EXIM Bank support came at the right time as the Haiti earthquake in 2010 dramatically decreased sales. The Bank's small business export credit insurance policy allowed Collection 2000 Cosmetics to fortify its relationships with existing foreign customers by offering them longer payment terms. After two difficult years, sales in 2012 were up 15 percent over the previous year, allowing the company to add two extra employees to its staff of five to handle the extra manufacturing and warehousing needs. Exports now comprise 90 percent of total sales as the insurance policy is also helping the company to open new accounts. "EXIM Bank support turned our business around and made it easier for us to open new qualified and insured foreign accounts based on terms."